My weekend was all about craft brews and dainty lavender dresses. 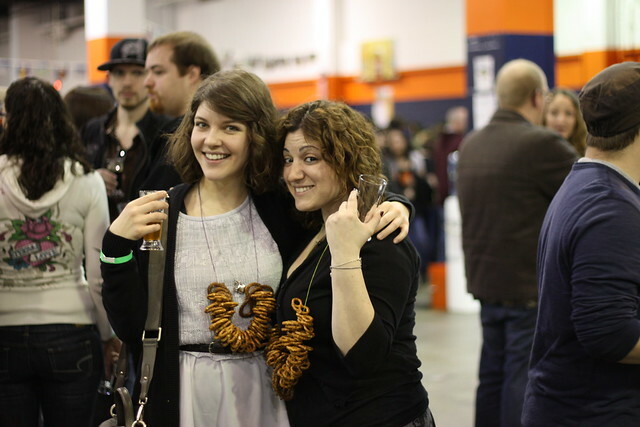 The spring beer fest meant a whole lot of fancy beer and pretzel jewelry. 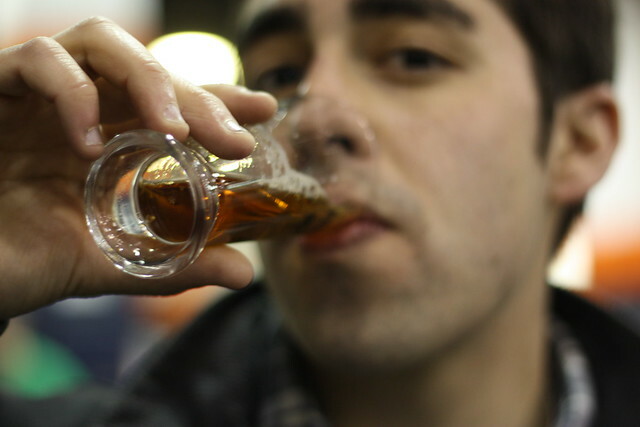 I love that when I start drinking I think "Wow, what a great time for manual focus!" 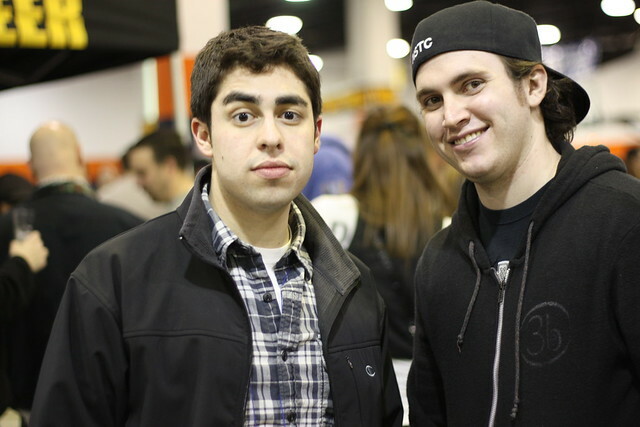 Needless to say, it many of my pictures look like beer goggles. Its sad to say, but that many beers means that I can't remember which beers I liked or didn't like. Thank goodness Rich is a human beer-cyclopedia that can remind me of these things. 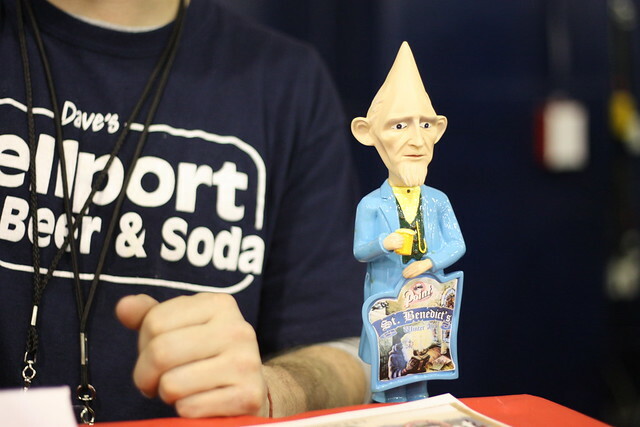 I'm almost positive I loved the "Pointy head" beer with the creepy conehead-gnome hybrid as the tap. That or I just liked its pointy noggin. ahhhhh pretzel jewelry - the greatest!!! p.s. i don't think i've ever told you how much i love your blog and look forward to reading your posts. You are on my blog roll lady! I thought the pretzel necklaces were a joke! but they are actually an amazing idea. Pretzel necklaces? Possibly the best idea EVER. Damn, I want a pretzel necklace! Ok those pretzel necklaces made my day. Pretzel necklace & beer fest?! No fair. I wanna go. cute pretzel necklaces. were they yummy? Hilarious... that's all I can say. That and that the pointy-headed gnome is a bit scary, and that pretzel necklaces sound like the perfect snack for soaking everything up! Oh my Jesus is that a necklace of pretzels????? I WANT TO GO TO THERE.